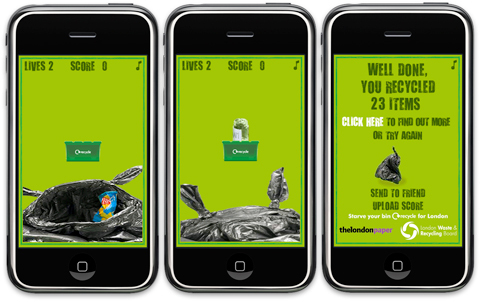 The ever clever Recycle for London program is promoting its “Starve your bin” campaign with a mobile download game for Brits on the go. The object of the game is to block items from reaching the hungry trash bag by catching them first in a green recycling bin. Or rather, the object of the game is to raise awareness about the massive amounts of recyclable materials that end up in the trash. Londoners can download the game by texting a special number and oh so special iPhone users can get the game directly from the Apple store. Your very own iPhone app? Very slick, Recycle for London. As a new media geek, I’m impressed. But really, you had me at viral video. A new study by the Pew Internet & American Life Project yields some amusing and educational findings: half of gadget users need help to get their smart phones, cell phones and computers to work; many of these devices break; and users experience a range of emotions when they can’t get their stuff to work. 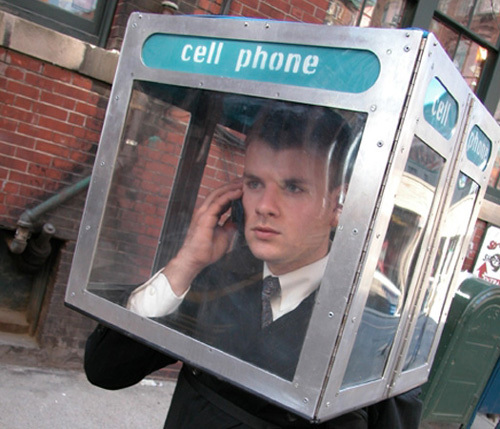 Interestingly, but not surprisingly, cell phones are more likely to break in the hands of younger users. And, most relevant to our interests here, 15% of users never get their device fixed—that’s a lot of cell phones, smart phones and computers headed straight for the trash. The AP has a nice summary of key findings, including a breakdown of the various emotions people feel when trying to fix a broken device ranging from confident to confused.